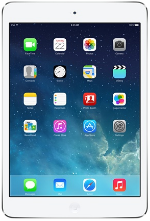 The Apple iPad mini 2 is a beautiful tablet manufactured by one of the most successful names in the industry. Following the footsteps of its predecessor, the iPad mini 2 features a 7.9-inch display with a 2048x1536 resolution and a 326ppi pixel density. But what makes this device better is the addition of a Retina Display that makes the viewing experience all the more elaborate for its users. From within, the iPad mini 2 runs on a powerful 1.3GHz dual-core Apple A7 processor with 1GB of RAM and PowerVR G6430 GPU. There is an option to purchase the tablet in either 16-, 32-, 64-, and 128GB internal memory capacity. Another choice users will have to make is to pick out the color for their iPad mini 2 since it comes in Space Gray and White color options. 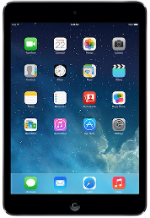 The iPad mini 2 can capture photos with its 1.2MP front-facing camera and the 5MP rear-facing camera. Included in the device is a non-removable Li-Po 6470mAh battery that helps users enjoy up to 10 hours of screen on-time.